Data Acquisition Sensors - Industrial Data Loggers - Data System Manufacturers | TALON Technical Sales, Inc.
TALON Technical Sales prides itself on helping clients select the best fit for their industrial data acquisition requirements. Whether it be for a couple of sensors or large multi-sensor application, we have the equipment and software to fit the requirement. We are a manufacturers' represetnative for the following states: Texas, Arkansas, Louisiana, Oklahoma. Alpha DAQ allows for direct connection to a variety of low level sensors in industrial distributed applications. Alpha DAQ uV level integrity, auto-ranging integrating digitisation and high performance noise rejection allows direct connection to sensors. Alpha DAQ provides energisation and cold junction compensation where appropriate automatically with no additional requirements. 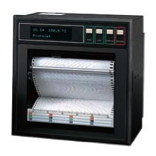 Alpha DAQ is convenient and cost effective for 10 to 1,000 channel applications. Intelligent Data Logging System Battery powered systems offer features of universal input channels that can be used with a wide range of input signal types and records: temperature, voltage, current, 4-20mA Loops, resistance, bridges, strain gauges, frequency, digital, serial and calculated measurements. They also offer powerful alarm and programming capabilities to allow the industrial data loggers to process measurements and initiate actions on their own with multiple interface options. Paperless recorder with TFT display, Compact Flash card and USB interfaces. The Intempco iLogger11 represents a new generation of paperless recorders from JUMO that stand out through their modular design for the acquisition of measurement data (3 to 18 measurement inputs can be implemented internally), their innovative operating concept and high standards of security to prevent unauthorized access and manipulation of the stored data. 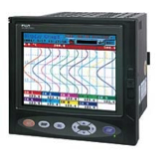 Fuji Electric Inkjet Strip Chart Recorder Intempco/Fuji 180mm PHA Recorder offers brilliant six color recording utilizing Fuji's patented inkjet mechanism. Tiny piezo elements electronically dispense small dots of 0.3mm diameter colored ink onto the chart paper. This non-contact printing advancement allows the PHA Recorder to trace vibrant trend lines and to print sharp alphanumeric characters. Fuji Electric Paperless Recorder The compact Fuji Electric PHL paperless recorder is an 9- or 18-channel recorder that displays data on a brilliant 5.7" TFT color LCD. The Fuji Electric PHL paperless recorder features a wide variety of display modes to allow users to view data as trends (horizontally or vertically), bar graphs, analog meters, digital/numeric output, totalized output, event summaries, and more. Switch between modes quickly and easily with the 8-key front panel. The adjustable time screen-saver function extends the life of the display and reduces power consumption.